Modern Warfare strides across the gaming landscape like a colossus. The games allow players to simulate war, either engaging in Michael Bay-esque single player campaigns or the (far more popular) online multiplayer, where a global community headshots, grenades and teabags each other in an endless whirlpool of violence and sexually explicit vocal abuse. Their popularity is unnerving; they glamourise and trivialise war, indoctrinating consumers with a steady drip of jingoistic propaganda. Employing convicted war criminals like Oliver North to advise and promote them doesn't exactly help matters. Lucinda Burnett's Correspondence explores the games; contrasting the sleek sterility of the games with the emotional realities of violent social unrest. Set primarily in 2011, we focus on awkward Stockport teenager Ben (Joe Attewell), editor of the school newspaper and avid gamer, as he converses over Xbox Live with his Syrian friend Jibreel (Ali Ariaie). With the Arab Spring steadily picking up steam, Ben is eager to interview an uncomfortable Jibreel on his opinions of the government, revolution and politics. 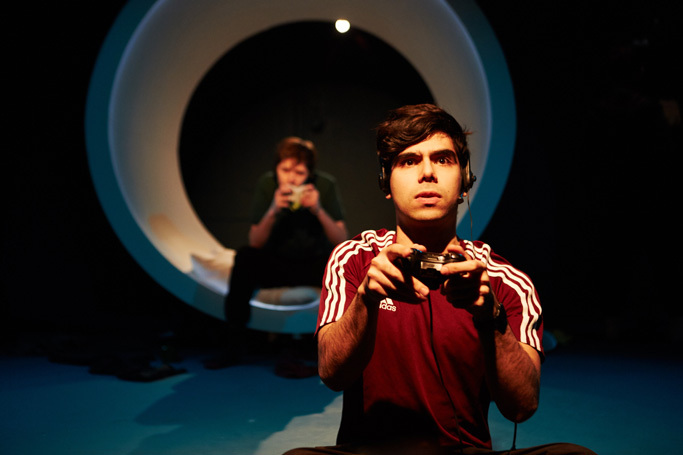 As they dodge bullets in the digital battlefield, the two boys maintain an uneasy relationship: Ben using Jibreel for journalistic insights, Jibreel using Ben to practice his English in preparation for university studies in London. Until one day, Jibreel abruptly disappears. His head full of disturbing stories of teenagers detained by the Assad regime, Ben panics. In a manic fit, he steals his Dad's wallet and heads to Syria. He's accompanied by gin-swigging schoolgirl delinquent Harriet (Jill McAusland), who threatens to expose him if he doesn't take her with him. Yet when confronted by the realities of Syria, Ben's incipient mental health problems come to the fore. There's a lot to admire in Correspondence. Joe Attewell is a convincingly frayed teenager; touchingly falling apart as his journalistic fantasies clash with the reality of actually being in the thick of it. Jill Ausland provides some much needed texture; her pragmatism eventually proving incredibly useful (as well as providing the lion's share of the laughs). Bethany Well's set design is also a cut above. I deeply dug her work in My Eyes Went Dark and Wink, where, as here, she demonstrates a knack for melding technology and psychology into a pleasing whole. 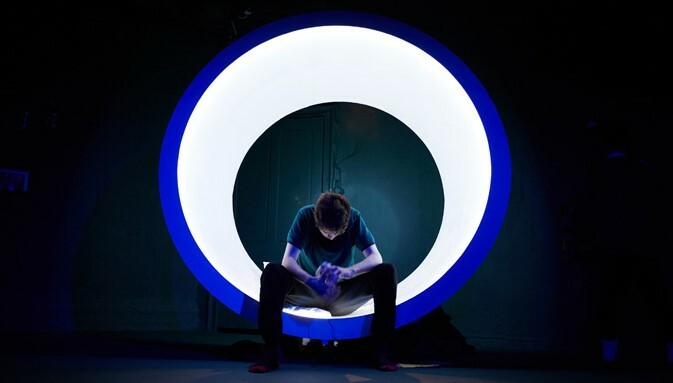 Here the set subtly recalls the curves and lighting of the Xbox aesthetic; white curves and glowing LEDS that focus audience gaze in on the player. Cleverly, the game controller is visible at all times; reminding us of the gulf between Ben's absolute digital control in the game world and the unmanageable chaos of reality. There's also a couple of gently moving writing flourishes. As the situation worsens in Syria, Ben can't quite grasp why Jibreel has abandoned Modern Warfare for the resolutely apolitical FIFA. Each character has clearly been comprehensively thought through; providing various viewpoints from which we can view Ben's behaviour. Sadly, things aren't all sunshine and roses. The root of the play's problems is flabby writing: the narrative objective of individual scenes is generally achieved within a couple of minutes (Ben is having a nervous breakdown/Harriet is attention starved/Ben's parents are at loggerheads etc), but then they drag on and on without giving us any new information. There's a disconnect between the quality of the performances and the writing; as if Burnett doesn't quite have faith that a cast can clearly communicate her characters - resulting in her retreading their personality traits ad nauseum. I found myself silently urging Correspondence to get the hell on with it. There's no one scene that slams the brakes on, just a slackening of pace that drains tension and interest. Even more frustratingly; the play abruptly terminates just as things are about to get interesting, leaving us a little unfulfilled. As it stands, Correspondence could use some corrective surgery: liposuction on the bulbous middle and reshaping of the malformed climax. The performances, aesthetic and core ideas are all ace, yet the play is ultimately hobbled by the loss of momentum. If this were pared down to an hour it'd be a punchy, streamlined and hard-hitting production, but in its current form it doesn't quite work. Correspondence is at the Old Red Lion until 2nd April. Tickets here.